Et Verbum: Simple instructions On The Holy Eucharist As A Sacrament And Sacrifice by The Very Rev. Geo. Edw. Canon Howe. Part 11. Simple instructions On The Holy Eucharist As A Sacrament And Sacrifice by The Very Rev. Geo. Edw. Canon Howe. Part 11. Father Faber writes of Holy Communion : "If ever there is a time for thanks too deep for words, it is when the Creator has been pleased to overwhelm His creature with this stupendous gift of Himself, and when He is actually within us. Hence it is that spiritual writers tell us, for awhile at least, not to open a book, but to commune with Jesus in our own hearts." 1. Adoration. Naturally, our first duty, if our faith be lively and real, will be to fall down before the sovereign Lord we have received, and offer Him our profound adoration, as to the God of all things, who has deigned to come to visit us ! What humble deference and outward homage should we not pay to the King, did he think fit to come to the lowly home where we live. What reverence and veneration should we not show to the Vicar of Christ, God's representative on earth, if he deigned to honour us with a visit! Yet here, in Holy Communion, we receive the " King of Kings and Lord of Lords " within us, Him who created our hearts and the entire universe around. To Him, therefore, as to our God, we owe the highest form of worship we can pay to any being, that of profound adoration. As the shepherds and the magi fell at the feet of the Divine Child in Bethlehem, so must we prostrate ourselves before the same Divine Saviour resting within us, making acts of faith in His real presence, acknowledging our nothingness before Him, and protesting our unworthiness to receive Him. The more perfectly we fulfil this first elementary duty, the more easily and thoroughly shall we do the rest. 2. Contrition is a second act; that is, we must declare once again our sorrow for having offended God, and renew our determination to avoid sin for the future. It is not that we are to worry ourselves and fret over the sins in detail that we have already confessed, but to remember in general that we are sinners before God, which will help to keep us humble in His presence. " I know my iniquity, and my sin is always before me " are the words of King David (Ps. 1. 5). They should be ours also, as an expression of sorrow for sin, the one thing that makes us displeasing in the eyes of God and unworthy to approach Him. Even after Communion, then, we should renew our contrition for the many offences we have committed against God during the years of life that have gone by. 3. Thanksgiving. From the depths of our hearts, we must thank Our Lord for giving Himself to us in Holy Communion. It is a great act of condescension and love on His part thus to come and take up His abode within us worms of the earth, an honour and a grace for which we can never be too grateful. We may thank Him for the grace of being members of the true Church, and thereby being placed within reach of so many helps given through the Sacraments, and especially through the one we have just received, the greatest of them all. We can thank Him for the peculiar blessings which we individually have received, and of which everyone has some to acknowledge. Thus, if we reflect and consider, we shall find many subjects for thanksgiving and praise, especially pleasing to God as proof of a grateful heart. Imitate not the lepers of whom Our Lord complained: "Were not ten made clean, and where are the nine ? " (Luke xvii. 17). These men, on being cleansed of their foul disease of leprosy by our Lord's loving power, were so overjoyed and delighted, that away they went to their homes and their friends, announcing the glad tidings of their cure, which was quite natural for them to do, but they entirely forgot to thank the Benefactor who had healed them, and He complained of their ingratitude : " Where are the nine ? " Let us, at any rate, guard against a similar defect, in failing to thank our Divine Guest for His many favours and graces. On the contrary, imitate rather the family of Tobias. When through the good offices of the angel Raphael, they had received such signal mercies and blessings, they knew not how sufficiently to thank God and their benefactor ; words failed them, to express their gratitude, so "they lying prostrate for three hours upon their face, blessed God, and rising up they told all His wonderful works " (Tob. xii. 22). Here is the example we must follow, whenever we go to Holy Communion. Moreover, gratitude to God for graces already bestowed will be a powerful means to move Him to grant still more. 4. Supplication, or petition. S. Teresa declares that the moments immediately following Holy Communion are most precious to the soul, for then we have Our Blessed Lord within our hearts, as upon a throne, and we can there present to Him our earnest petitions, make known all our wants, and beg such graces and blessings as we stand in need of. We should, therefore, avail ourselves of this happy time, and never fail to make our requests, while the Sacred Species remain within us. Who is there that does not stand in need of Our Lord's bountiful mercy ? Who amongst us but has many needs of soul and body to supply ? Who but has many favours to ask for? Take then these precious moments, and ask freely and with much confidence, for the infinite Power of God is equal to all our wants, while His infinite goodness is most willing to bestow. If one were allowed a quarter of an hour in a mine of rubies or diamonds, and free to carry away all stones gathered in that precious quarter of an hour, how would he spend the time? a. Spiritual graces. In the first place, attend to the needs of your soul, which are many and varied. Perseverance in God's love should have a foremost place in our petitions. We are now in the state of grace : but how long shall we maintain it! Yet, on this perseverance our eternal happiness depends. S. Philip's daily prayer used to be : "O my God, keep Thy hand over me this day, or I shall do Thee all manner of harm." He recognised the necessity of the Divine protection, if sin were to be avoided ; so, too, must sinners like ourselves be firmly convinced of the need of God's grace, if we hope to avoid offending Him grievously and so risking our salvation. Ask, therefore, for such gifts as you require : humility, charity, purity, zeal for God's glory, devotion to duty and so forth ; grace to overcome some besetting temptation, to acquire some special virtue suitable to your present circumstances. There are countless favours of the spiritual order you may solicit, as countless as are the needs of your soul. b. The Church. Every true Catholic must remember his obligation to the Church of which he is a member. It is through her that he received his baptism and all the other graces of God's Providence, during perhaps a long series of years. 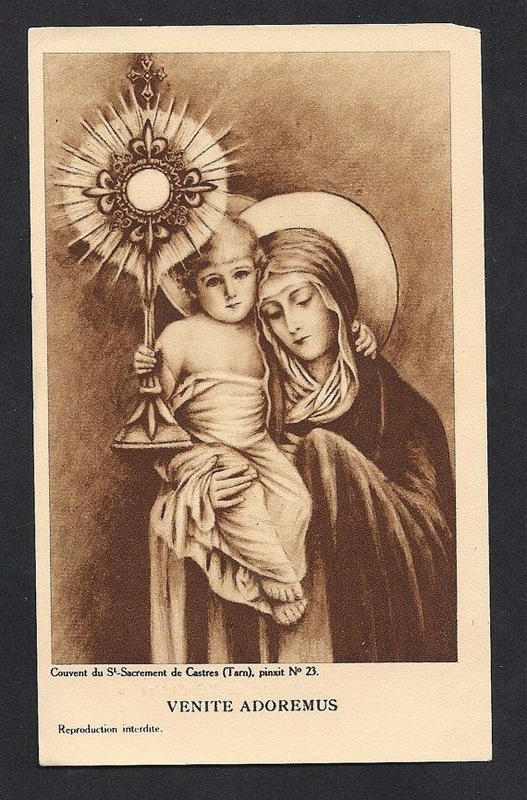 We must therefore not forget our obligations to her, but pray God to strengthen her in the many persecutions and trials she has to undergo, and beg for her the light of the Holy Ghost in the times of darkness that overtake her. Under this heading, we include, of course, the Supreme Pontiff, Our Lord's Vicar on earth, and head of the Universal Church. What responsibilities are his! How great the care of all the churches, and how deep his anxieties! Consequently how urgent is the need that the Faithful should pray for him from time to time, especially after receiving Holy Communion. Then our own Bishop has a claim upon our love, for in his own measure he too has responsibilities and difficulties, hence we should do what we can to lessen these by our prayers in his favour. And what of our own priest, or confessor? We are more intimately acquainted with them, we see and hear them often, we know their zeal and interest in our regard, and the care they take of us in many ways, both in health and in sickness. We should be very ungrateful, therefore, if we failed to recommend them to God, or to beg for them the graces they need in their onerous work : think, then, of them at this moment of grace. c. Temporals blessing. These also we may lawfully ask of God, but always with the proviso that God sees good to bestow them. Hence, we must ask in resignation : "not my will, but thine be done." Success in a coming examination, or some business undertaking, better health than you have had in the past, recovery from sickness, and so on, of other similar wants. d. Our neighbours. We are taught to pray not for ourselves only, but for all others. Thus our neighbours have a claim on us during the privileged time that follows Communion. They have their wants of soul and body like ourselves, and it is a spiritual work of mercy to help them therein by our petitions to God. Pray for prosperity and peace among them, for conversions, for reconciliation where needed, for health, and success in their labours, just as we pray for our own. bring them any relief. "Out of sight, out of mind " is a common saying, and too often a true one. But never let it be true of our departed ones. 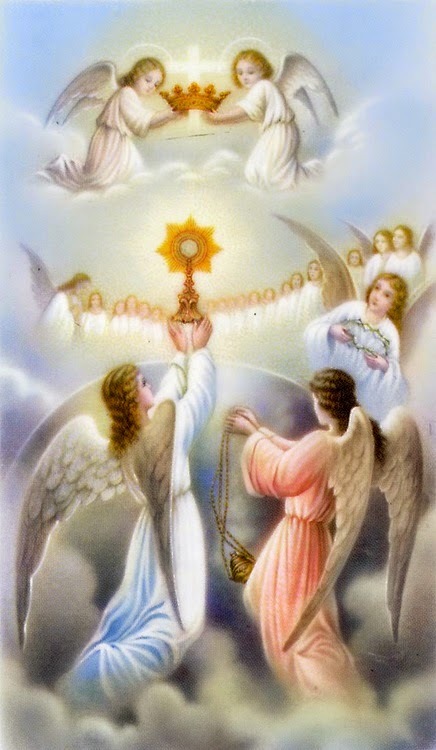 Ever bear them in mind and assist them by your suffrages, applying the Precious Blood of Jesus which you receive in Holy Communion to cool the ardour of the cleansing flames in which they are plunged. Then will God provide for you some day, and when your turn comes, others will bring you relief; mercy shall be given for mercy! 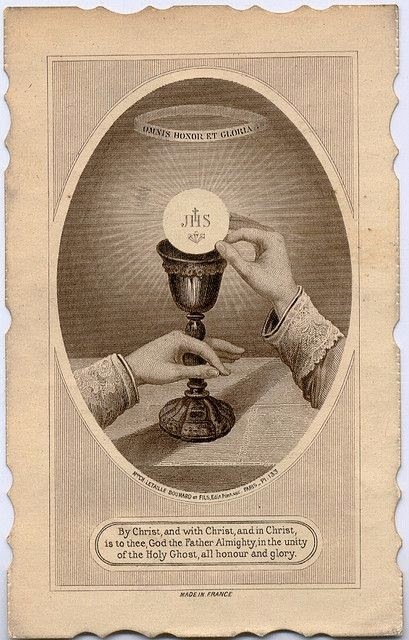 Behold here a goodly number of objects for which we may petition Our Blessed Lord after our Communion ; some of them, at any rate, we should always lay before Him, for, according to the Saints, these moments are precious ; let them not slip by in idleness and distraction, but ever employ them in earnest supplication. 5. Oblation. As Our Lord has just given Himself to you, so now make your offering to Him. Present your whole being to Him to serve Him in the future. Your body with all its senses, and your soul with all its faculties (Understanding, to think of Him, Memory, to be mindful of Him, Will, to be in harmony only with His); especially offer Him your good resolutions, your willingness to suffer for Him, and your readiness, if need were, to die for Him. These are some of the chief acts we may make after Holy Communion, by way of Thanksgiving. It is not necessary we should always make them all, nor with such fulness of detail as has here been suggested. But never must we shirk the duty of some suitable return, which, strangely enough, is oftentimes found to be a difficulty, possibly for the want of some method in the making of it. Don't imitate the lepers whose conduct has already been referred to, nor yet the example of that man whom S. Philip Neri reproved for his neglect. 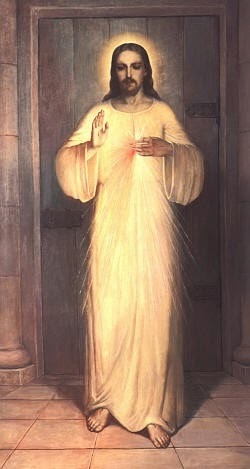 The Saint one day, to his sorrow, noticed that a person who had just received Communion was getting up and going away. He at once told two altar boys to take a lighted taper each, and to accompany the person home. Surprised at this, the young man asked what it all meant, and, on the children referring him to S. Philip, he went to inquire of the Saint, who said: " When the priest carries the Blessed Sacrament, he is always accompanied by two acolytes bearing lighted candles; the same honour, it seems to me, is due to anyone who carries It in his heart! " Recognising his fault, the young man returned to church and made a due thanksgiving. How many nowadays might take this lesson to heart ? A quarter of an hour after Communion is not too long to spend in praising and thanking Our Lord for the goodness and condescension He has shown us therein. Yet, how many, just after their Communion, hurry out of church with the rest of the congregation the moment Mass is over. They think five or six minutes quite enough for their thanksgiving to Jesus? Where is their faith ? Where their gratitude, where their appreciation of God's divinest guest ? These must not be our models. "Give glory to the God of Heaven, for His mercy endureth for ever" (Ps. cxxxv. 26). "All ye works of the Lord, bless the Lord, praise and exalt Him above all for ever" (Dan. iii. 57).